And don’t forget E.T.! E.T. was genderless. The IndieWire article cites Juliette Binoche’s reason for turning down Jurassic Park as the regrettable lack of female leads in the Spielberg film (a story that has followed Binoche for over twenty years and was only revealed publicly in 2016; previously she claimed prior commitments [Krzysztof Kieslowski’s Blue] and was quoted as regretting not doing the role, and also fed up with the question). 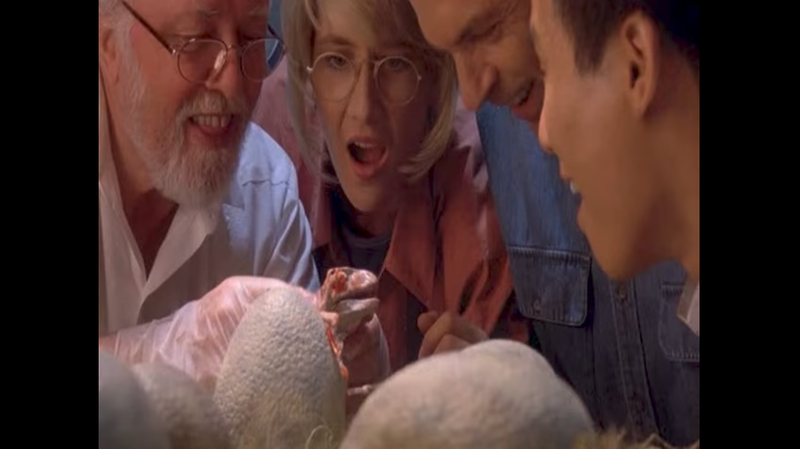 But is everyone forgetting that all the dinos in Jurassic Park were female? Maybe they weren’t each individually lead actresses whose performances could be evaluated For Your Consideration, but I would say they’re a pretty crucial part of the movie in the same way that, say, Mark Rylance stole the show from lead actress in a starring role Ruby Barnhill as Sophie in Spielberg’s big-screen adaptation of The BFG. His upcoming drama The Papers, starring Meryl Streep as Washington Post publisher Kay Graham, will be his first to star an adult woman since 1985. I think Elizabeth Banks is more wrong than right in this case on two grounds: 1) the lead character is not always who you think it is, and 2) Steven Spielberg may be listed in Wikipedia as having once been a “pioneer” of the “New Hollywood” movement, or modern cinema or something, but frankly I’m not looking at the guy who made Jaws to change my world. I’m looking at Ava Duvernay, Patty Jenkins, Kathryn Bigelow, and probably a bunch of others whose names I haven’t heard yet. They’re my New New Hollywood. h/t Christine Friar, wise cinema scholar.